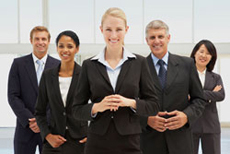 Apartment Advantage provides Permanent Placement apartment staffing. Our top-quality, permanent employees provide the level of service your residents expect. We make it stress-free and do it all including: recruiting, advertising, interviewing, background screening, reference checks, and training. You need top-quality, permanent employees to provide the level of service your residents expect, but finding the time it takes to interview, screen, and train candidates can be daunting. We make it stress-free! Apartment Advantage has provided quality personnel to the Pacific Northwest for more than 10 years. We know what it takes to keep your property running efficiently, while keeping you on track with your community’s mission. Our professional recruiters will recommend only the most qualified candidates, so all you need to do is choose your new team member. Our process is quick, completely confidential, and guaranteed.